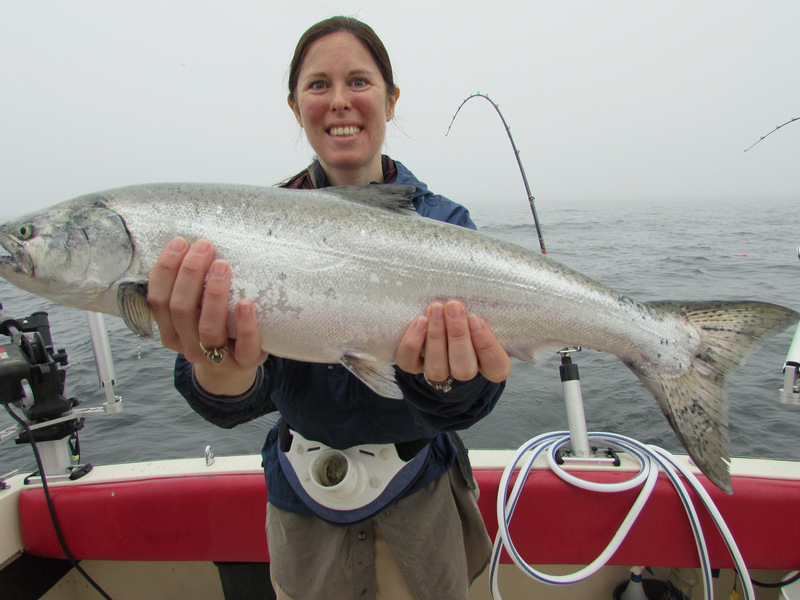 Lake Michigan Fishing Charters have produced the biggest Salmon, Brown Trout and Steelhead in years. Our Muskegon Charter Boat "FISH STIX" in North Muskegon is avaliable 7 days a week and catching up to 20 fish per trip and the largest Brown trout recorded in Muskegons history (28.7 lbs.) Plus 2 Salmon at 29.4 & 29.5 lbs. Michigan Salmon Fishing out of Muskegon is World Class. "Fish Muskegon"
Some of the largest Brown Trout are being caught in Muskegon and on the Manistee river the world record Brown Trout was caught today on the Manistee river 41.7 lbs. 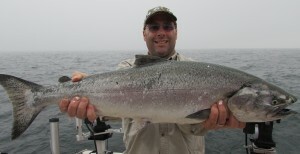 In 2008 a 28.7 lb Brown Trout was caught on our boat the Barbara Rose out of Muskegon. Book your trip today and get in on some of the action. Our home port is Muskegon, MI. Fishing Charters serving: Muskegon, Whitehall, Montague, Spring Lake, Grand Haven, Fruitport and surrounding areas.